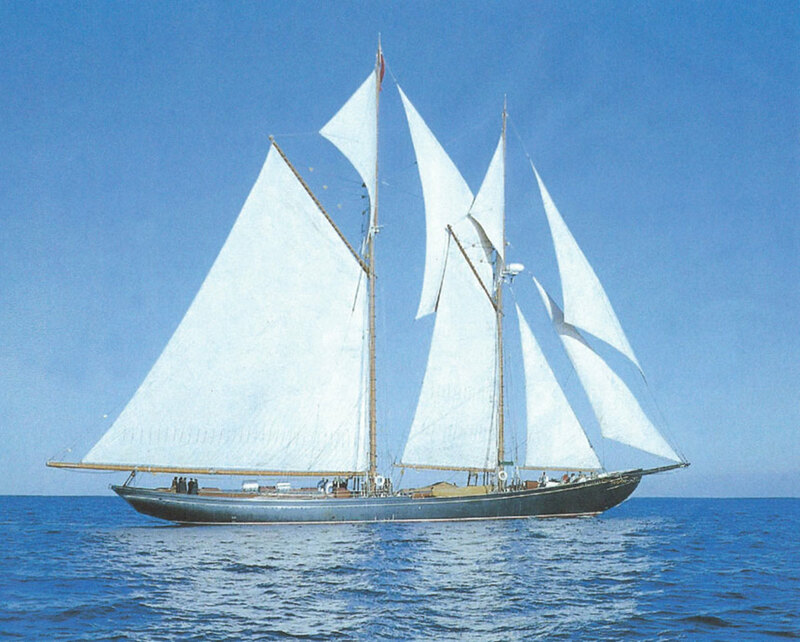 At age 17 I joined the schooner Bluenose II as a deckhand when she was off St. Lucia in the West Indies. My father was a good friend of Capt. 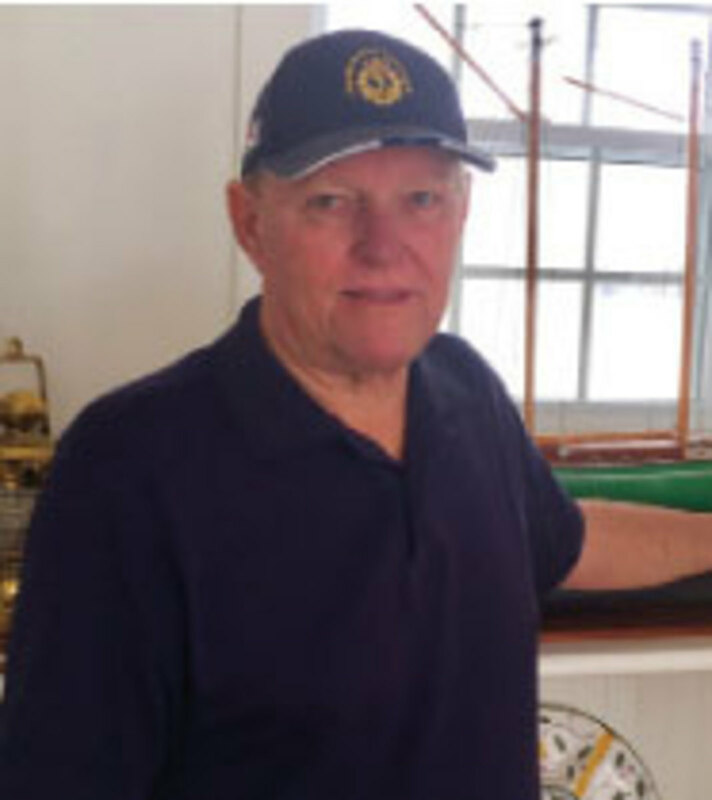 Ellsworth Coggins, master of the original Canadian sailing ship Bluenose, and in the early ’60s, the Oland family of Nova Scotia built a replica at the same Lunenburg shipyard, calling her Bluenose II. She visited our home at Marigot Bay many times in those years. We would watch her long, black hull come slowly into the inner harbor. The crew would drop the hook to windward before putting stern lines to the coconut trees on the sand spit. 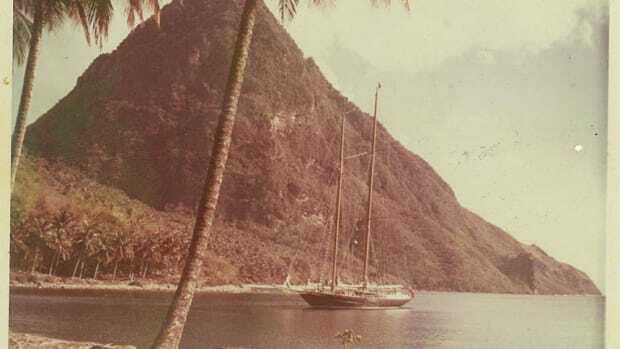 My father, running a fleet of schooners out of Marigot Bay, had spoken to Coggins a number of times on my behalf. Part of my agreement with my parents about not returning to school was that I would go to sea on ships other than my father’s. They felt it would be best if I left the bay and got a bit of experience. I loved the islands but agreed that I should get out and be my own man. And so I managed to get aboard the Bluenose II. I was lucky; there was a long waiting list of Canadian lads ready to sail on her. Circumstance and my father’s help secured the job. I went aboard as an ordinary seaman, signed the book in the chart room with Coggins and went on deck, where I asked seaman Dave Rawding what O.D. stood for. “Ordinary seaman, mush for brains,” he replied with a grin. 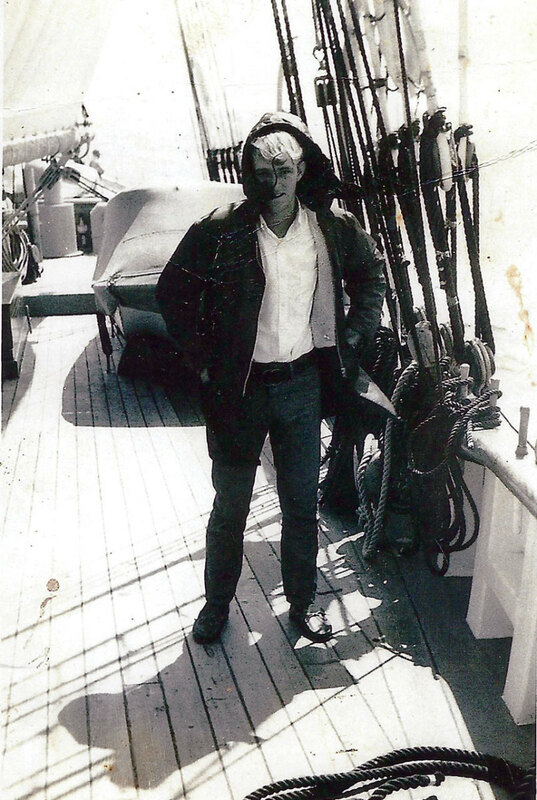 A young Lou Boudreau forwent school for time at sea. Our engineer was Rodney Himmelman, from Lunenburg, and the mate was a fine Norwegian seaman, Oddmund Skodje. Bosun Neil Dalkier was another good man, from Denmark. There were another half-dozen men. I settled into the schooner’s routine, and I found that I was able to hold my own, even though I was 17. My prior experience had laid a good foundation for this opportunity, and I was happy. The Bluenose II was a fine schooner, and the crew was a good bunch. 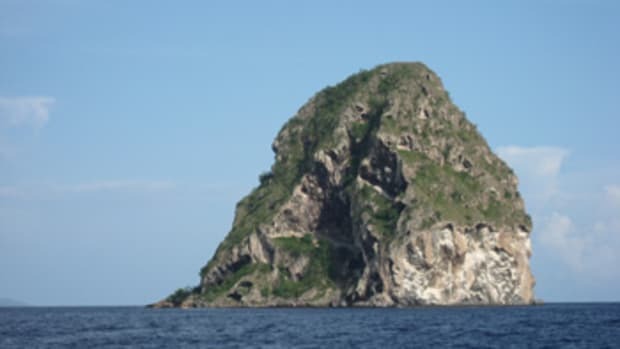 We carried out charter cruises in the southern Caribbean islands as well as the Leewards and Virgins, and the big schooner ate up the strong trade winds. The open channels between the islands offered good, stiff breezes, and I was thrilled when it was my turn at the helm. 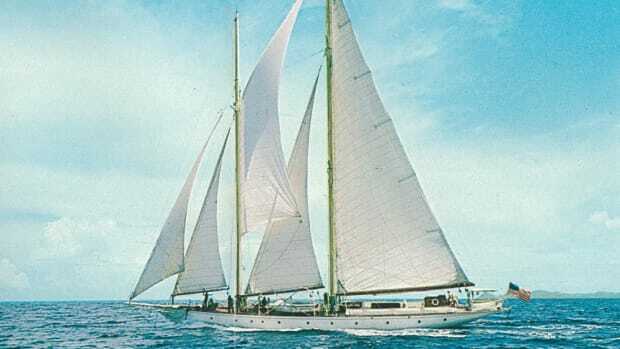 It was quite an experience for a young man to feel this powerful vessel — with her 4,000-square-foot mainsail and 84-foot main boom — heel over and reap the wind. She would settle her round bilge into the blue Caribbean and really move. At 12 knots, she seemed to be making no effort at all. 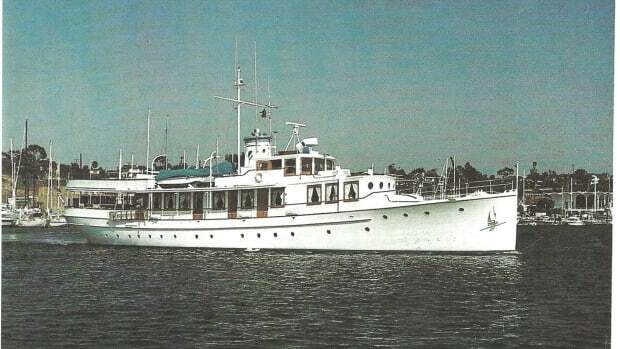 Initially, the mate watched me at the helm, but the boat steered easily, and I’d taken her measure before long. From then on, the mate and skipper left me alone, confident that I would keep her on course. 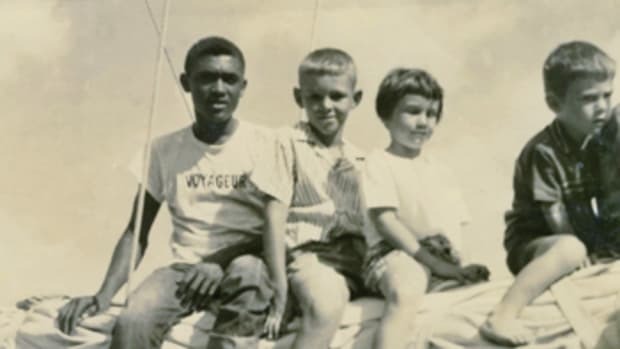 The Oland family came aboard for a few weeks, and we sailed them to the Tobago Cays, where I took them out to World’s End Reef to snorkel — after I spent a morning in the tender, spearing a dozen or so lobsters for them. 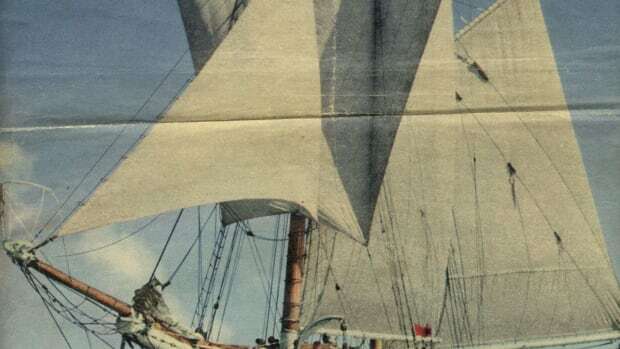 I soon discovered that there was wonderful cargo stowed in the hold of the Bluenose II: hundreds of cases of Schooner, a lager from the eastern Canadian provinces. The Oland Brewery had built the Bluenose II as a promotional tool. On the side of the can was a saying: “You can’t beat a good schooner,” referring to the original Bluenose’s winning streak as a racer. There was no drinking age in the fo’c’sle, and I soon developed a taste for that lovely golden brew. All too soon, the charter season ended in the islands, and we headed for Nova Scotia. This was home for most of the crew, and they looked forward to reuniting with their families after so many months away. 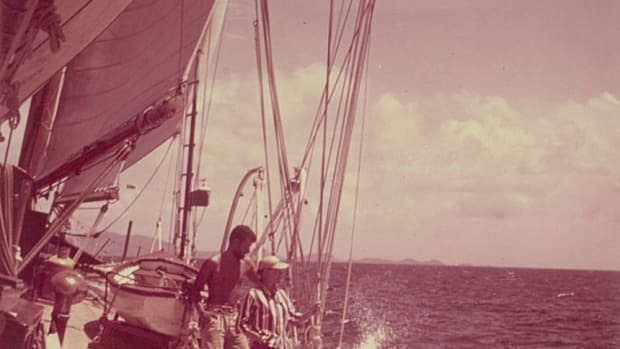 The writer sailed aboard Bluenose II in the Caribbean and off Nova Scotia. After a stop in Bermuda, we arrived at Halifax to a fine welcome. The families and friends of the crew were all there. Soon only a few of us were left on the ship. We stood watch while the others enjoyed a hard-earned rest. A few weeks after our arrival in Nova Scotia, the captain passed word that we would be doing day trips with passengers out of Halifax Harbor. We received new uniforms with baggy, navy-style trousers and shirts with Bluenose II on the front. My trousers were a bit big, and the cuffs were loose around my shoes. Soon the vessel’s decks were crammed with day-trippers, and we were all enjoying a different kind of sailing. Each morning, we would set all sail and drift out past McNabs Island into the open toward Chebucto Head before tacking to sail back. During those warm summer days, we young lads were intrigued by another thing, as well: the number of single young women who came out for a sail. We were inclined to show off a bit and generally make fools of ourselves. I took the cake in that respect. During one of our day sails, I noticed a pretty blonde, probably my own age. She seemed to express a great deal of interest in my work on deck. 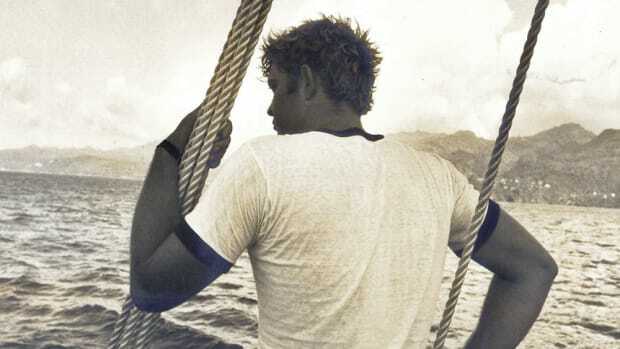 I carried on and smiled at her when I could, hoping I would muster the courage to talk to her after sailing. As we approached our berth in the harbor, the mate ordered us to lower away sail, and I made a show of my job. Lowering the huge mainsail required care. The two rope halyards were eased over the heavy belaying pins at the main mast tabernacle into big wooden pulley blocks on deck. Instead of paying attention to what I was doing, I kept looking over my shoulder at the blonde and smiling at her. Suddenly I felt something tugging at my leg. The cuff of my baggy trousers had been sucked into the big pulley block. I looked down in dismay and watched my pants slide down my waist. The young woman sensed something was amiss and stopped smiling at me. She was covering her mouth with her hand and giggling. Lowering away had to be carried out in unison. The throat halyard and the peak had to keep going at more or less equal speed. But to save my dignity, I stopped lowering in the sail. The mate caught me right away. “Hey! Lower away!” Skodje shouted. I could see him scowling. I was in danger of totally losing my pants. I slacked another foot or so over the pin, but as the heavy manila rope pulled my pants through the pulley, the rear seam of my trousers began to tear. To my horror, the trousers slipped over my rear end and down. Then my leg was pulled up to the block, and I could go no farther. Skodje appeared, fuming, but as soon as he saw me, he grinned. “Showing off for the girls, eh?” he asked, taking out his knife. As he cut away the remnants of my trousers, the final remnants of my dignity vanished, as well. There was a lot of giggling going on, and I dared to look behind me. The blonde was laughing along with her friends. “Lower away! What are you waiting for now?” Skodje asked loudly. I turned to the belaying pin and began to ease the big manila rope over the tabernacle rail. I remembered that my underwear had a hole in the seat. So with one side of my pants gone, the other in tatters and my pride crushed, we lowered the sail. As soon as we had made fast the halyards, Skodje nodded for me to go below. I ran forward to the fo’c’sle hatch, went below and changed. With new trousers, I returned to the deck to help handle the dock lines and disembark passengers. “Thanks,” I said, still humiliated, looking into her blue eyes. “Do you live here?” I asked. I said goodbye, and she walked up the gangway to the dock. I felt better, but I never saw her again. For a few days, I suffered my shipmates’ ribbing, and I never again took my eyes off the main halyard blocks. Sauté the chicken, sausage, shrimp and ham in a saucepan using olive oil until the pieces are slightly browned. Season with salt, pepper and garlic while cooking. Add the green pepper, onion, oregano, bay leaves, red wine and tomatoes, and simmer over low heat for 20 minutes. Meanwhile, cook the rice according to the instructions, but substitute 2 cups of tomato juice for 2 cups of water. When done, reduce to very low heat and add the other ingredients. Add Tabasco sauce to taste. Just before serving, fold gently with a spoon to mix.